What it is: DeepMind’s AlphaZero -- the same AI that mastered Go -- recently achieved a superhuman level of chess mastery in just 24 hours. Fed only the basic rules of the game, AlphaZero played itself over and over for 4 hours. “It doesn’t play like a human, and it doesn’t play like a program,” said Denis Hassabis, CEO of DeepMind. “It plays in a third, almost alien, way.” For example, AlphaZero would make bizarre moves, like sacrificing a queen to lead to a positional advantage and eventual victory. What it is: EtectRx, emergency medical physicians and medical toxicologists at Brigham and Women's Hospital are fighting opioid addiction with ingestible sensors that can transmit specific patient data to doctors' smartphones. They used EtectRx's smart pills WITH 15 ER patients who were prescribed oxycodone, and programmed the technology to record the time and quantity of pills each patient took. What it is: At Georgia Tech's School of Chemical and Biomolecular Engineering, researchers have created an etching process that gives a common stainless steel alloy antibacterial properties that remain harmless to mammalian cells. By applying a current to the alloy while submerged in nitric acid, the process gives a textured surface to the alloy, with 20- to 25-nanometer peaks and valleys, almost like a mountain range. These peaks are small enough to pierce bacterial membranes, but leave mouse tissues unharmed due to their larger size. 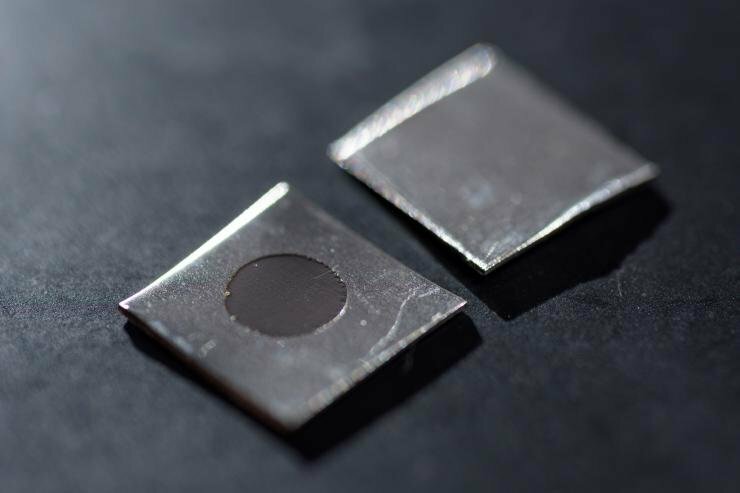 Importantly, unlike biochemically killing bacteria by applying a film, this etching won’t rub off, and should lead to applications ranging from food preparation surfaces to medical implants. Instead of Killing Bacteria, Can We Turn Off Its Ability to Cause Infections? What it is: Researchers at Cardiff University believe we can soon use bacterial epigenetics to prevent infection without using antibiotics. Working withAcinetobacter baumannii, which causes most of the infections we see in hospital patients and kills nearly 70 percent of people it infects, the researchers are exploring how specific changes to bacterial proteins affect the ability to infect other organisms. What it is: A report from Intel predicts that investment in the new passenger economy could hit $7 trillion by 2050, with services ranging from remote vehicle fleet operators to in-ride masseuses. The inevitability of autonomous vehicles on the horizon could hit workers hard, starting with trucking. According to the Bureau of Labor Statistics, 3.8 million people in the United States operate vehicles for a living, and roughly 1.7 million of them drive trucks. What it is: In Chad, the Wenaklabs association and UNICEF are helping children use the Internet for the first time -- using computers made with e-waste and encased in jerrycans. Mashable reports that the children, who were displaced from their homes, used their first Internet experience to look up family members.